I’m a member of many groups on facebook. 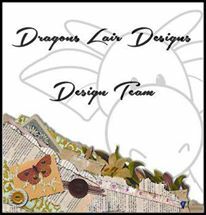 A large proportion of the groups are for crafters who do general crafts or specific crafts such as cardmakers. I’m also a member of support groups where members have various health conditions similar to myself. While some of the members of the various craft groups also have various health issues, and some of the members of the support groups are also crafters, I hadn’t come accross a group that was for specifically for crafters with chronic health/disability conditions. 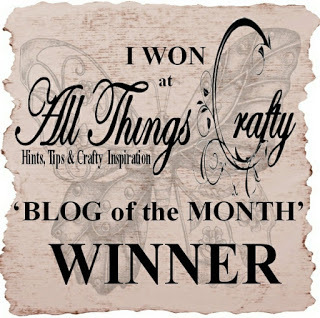 But, a couple of months ago I found a group for crafters with chronic ill-health. The group is called “Chronic Crafters!” Members can do any type of crafting and have any chronic health issue. It is a friendly group, and when a swap was anounced for September I thought it would be nice to put my name forward for a swap partner. The rules of the swap were “Anything but a card” (If I’ve understood things right it seems they had had a card swap previously so wanted to give a chance for non cardmakers to get involved this time). 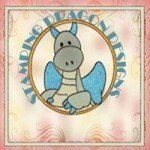 And as members are from all over the world, to keep postage costs down, there was a size constraint of 6″ x 6″ maximum. I have to admit that it took me far more time to decide which of my many crafts I would turn to for my swap item than it actually took to make it. Out came the ruler to start with, to see what the maximum size was, but then I decided that I still couldn’t picture the size properly and come to a descision – so I decided to start by making a shallow box of 6″ x 6″, base and lid, so I could see straight off exactly what was the maximum sized item I needed. 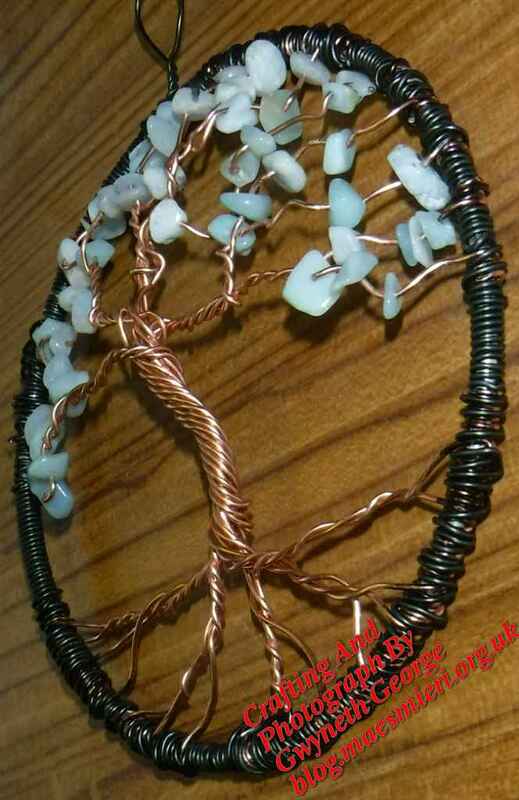 I tossed a lot of ideas around my head, but in the end decided on some wirework. So out came some beading wire, some semi precious stones, a metal hoop, and some jewellery making tools. 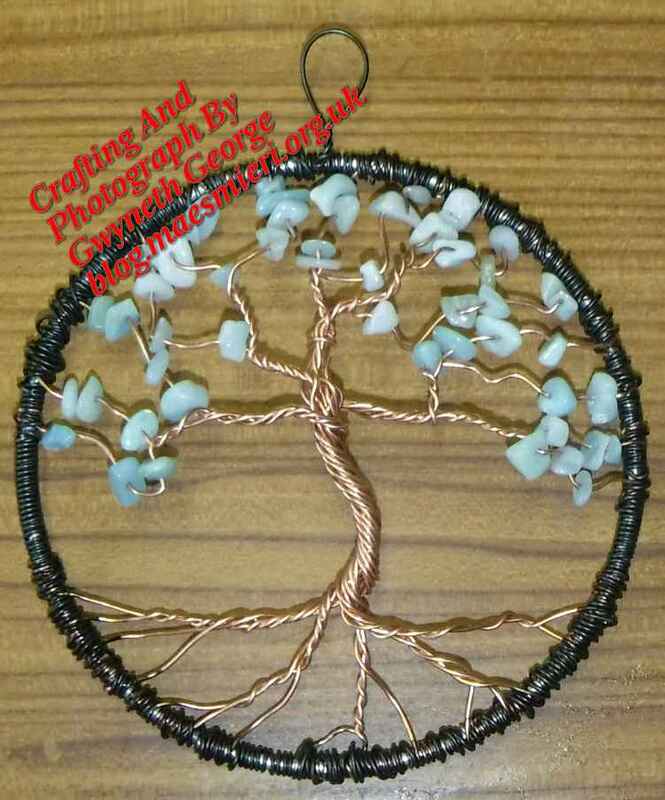 I chose a 5″ diameter metal hoop and made a “Tree of Life” style wall hanging. 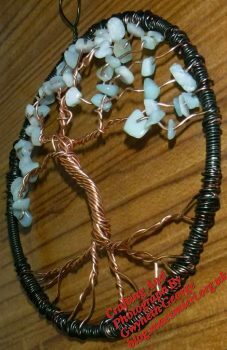 I used two different colours of the wire, one for the “tree” and the other to wrap around the frame. I had domed the upper section a bit as I think the little shaddow that this creates on any wall behind it when hanging is quite nice. I hope my swap partner likes it. Since makeing this I’ve made a few more wall hangings using metal hoops. Some are in the style of dream catchers and some are tree of life ones similar to this one with different sized hoops and different coloured wire. I’m working on blog posts to show them to you now, so keep an eye out over the next few days for those.